Octane was the first, and so far only, character to be added to Apex Legends after launch. He's argubly the quickest character in the entire game, and in this Apex Legends Octane guide, we'll be walking you through everything there is to know about the adrenaline junkie. If you instead need any additional details on Respawn's battle royale game, you can head over to our complete Apex Legends tips page. Here you can find our complete beginner's guide to the game, as well as a list of essential tips and tricks that all players should know. At the age of just 24, Octavio Silva was the heir to the Silva Pharmaceuticals empire, and wanting for nothing in life. But his true passion lay in daredevil stunts, until an attempt at breaking one of the Titanfall Gauntlet records went horribly wrong. After losing both his legs, Octavio turned to Ajay Che, also known as Lifeline, to help him construct bionics to get him back on his feet. Now Octavio is headed to the Apex Games under the Octane moniker, looking for increasingly deadly thrills. 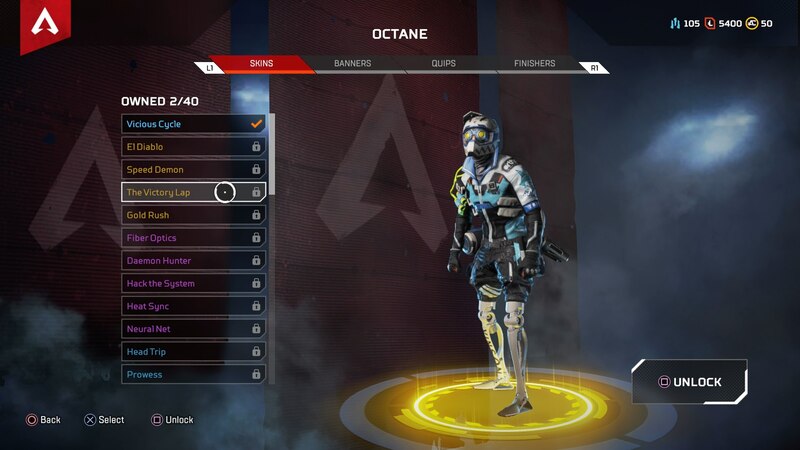 We previously mentioned that Octane was the first character to be added to Apex Legends after launch. 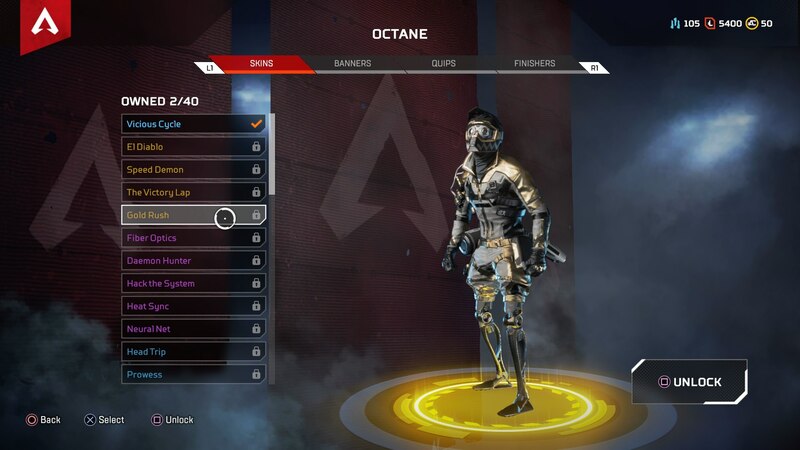 As with Mirage and Caustic, he costs 750 Apex Coins to unlock, so you're going to have to shell out right around $10 to unlock the new character. 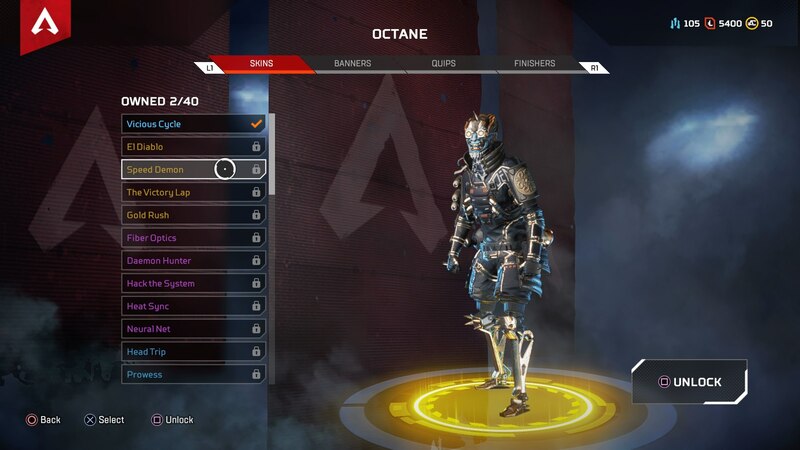 As with every other hero character in Apex Legends, Octane has three unique abilities. As you'd probably expect from someone called the "adrenaline junkie" of the game, they're suitably powered. Swift Mend (Passive) - While Octane is not taking damage, your health automatically restores itself over time. Stim (Tactical) - Sacrifice 10% of your health to move 30% for 6 total seconds. Launch Pad (Ultimate) - Deploys a single jump pad, which both teammates and other players can use to launch themselves high into the air. Octane's Ultimate ability is really fun to use. The Launch Pad ability does exactly what it says on the tin, throwing down a bouncy pad right in front of you on the ground. The ability only takes ninety seconds to recharge, making it one of the more rapid Ultimate abilities in Apex Legends. When you or your teammates step onto the launch pad, you'll be catapulted high up into the air. You can use this to easily scale buildings or hills, and because it has such a short recharge time, you shouldn't be afraid of using it whenever you want. Note however that anyone in the entire match can use your Launch Pad. If you pop one down on the ground, it'll stay there until you deploy another one. In this time, anyone in the game can also use the Launch Pad just like you and your team did, so be warned that enemies can use it to follow you. Octane is high powered and meant to be a mobile hero, there's no doubt about that. Octane is likely best used as a support hero in Apex Legends, pulling back to heal and letting teammates step in to do the dirty work whenever necessary. You really can use the Launch Pad ultimate ability whenever you want, either to cover ground quickly if you're trying to outrun the circle, or just get up to a new building to look. Alternatively, you might want to save the Launch Pad for when you're under fire, so you and your team can quickly reposition yourselves for a better tactical advantage. Also, don't be afraid to use the Stim ability whenever you want. As long as you've got at least one healing item like a Syringe on hand, rapidly covering ground on the battlefield while sacrificing a mere 10% of your total health is a cheap price to pay. 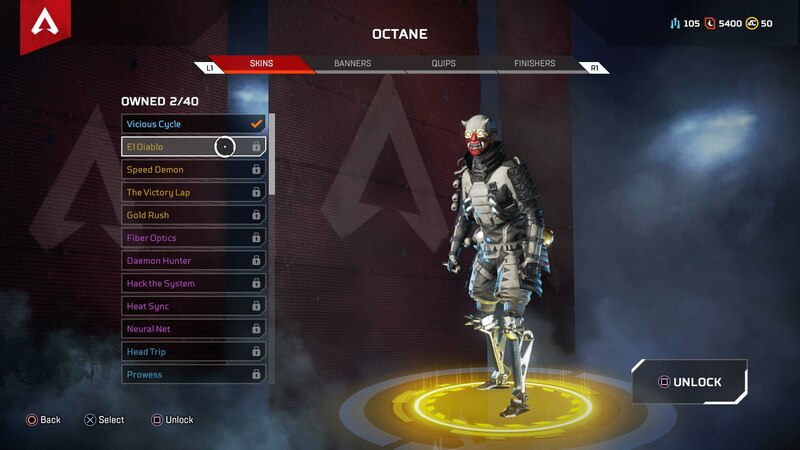 As with every other character in Apex Legends, there are four legendary skins to unlock for Octane. You can see all four of the skins below, each of which cost 1,200 crafting materials to unlock. The voice behind Octane in Apex Legends is Nicolas Roye. 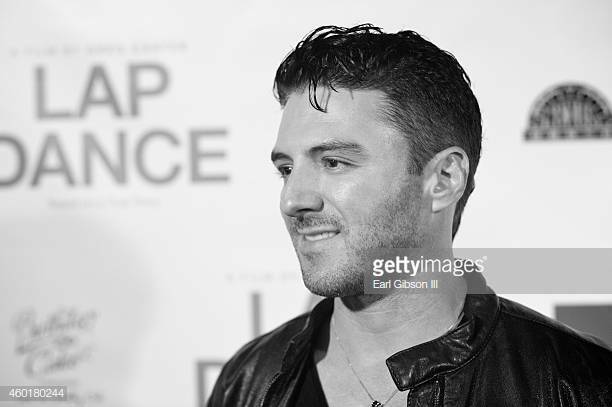 The actor has a lengthy number of credits in video games especially, including the likes of Final Fantasy 15, Nier: Automata, Mafia 3, Shadow of the Tomb Raider, and many more.